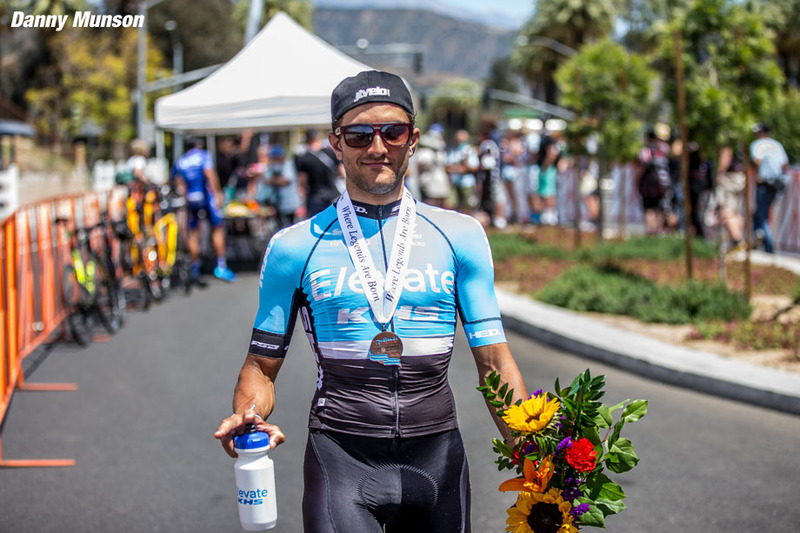 Interview: With the news that the Elevate-KHS Pro Cycling Team swept to into the lead of the USA Cycling’s Pro Road Tour (PRT) team standings, taking 193 points in June, we managed to ask team director and owner Paul Abrahams some questions about his Texas-based UCI Continental team, and the USA Cycling's Pro Road Tour. 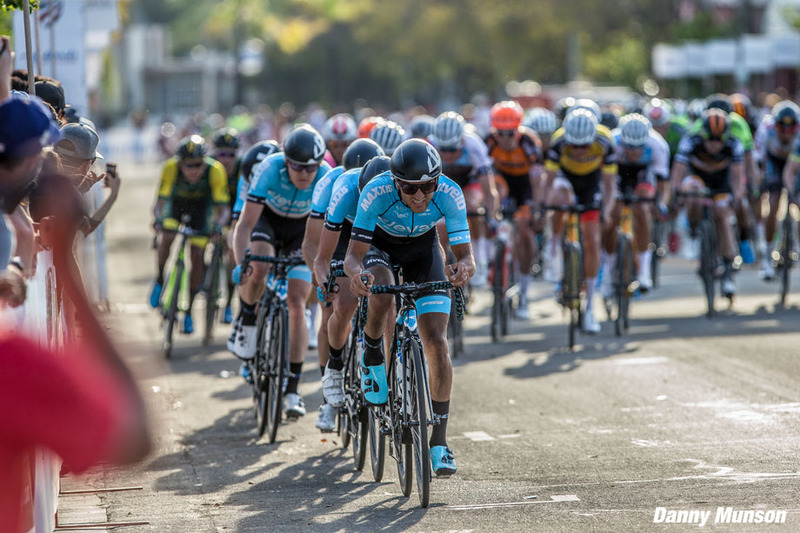 You can read more about the 'PRT Team Standings Change after Six Days of Racing at Three Criterium Events in Three States' HERE. 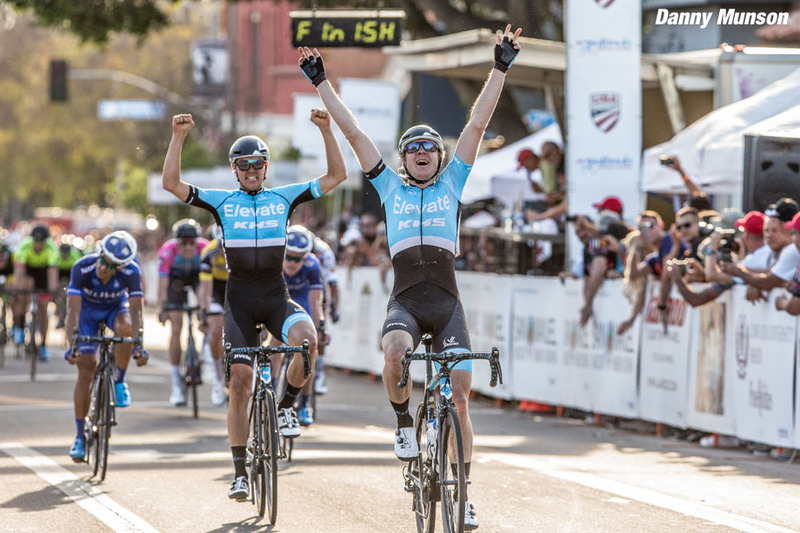 Elevate-KHS Pro Cycling team moved into first place for USA Cycling’s Pro Road Tour standings this week after sweeping the Criterium Omnium at Saint Francis Tulsa Tough and scoring a victory at Armed Forces Cycling Classic. Talk about the success this season for your Continental team. Paul Abrahams:To be leading the PRT standing at this point in the season is fantastic. It has been a complete team effort with every rider playing a role to get us to the top of the leaderboard. We can’t thank Elevate and KHS Bicycles enough for their support and belief in our program and we plan to still be the No. 1 team at the end of the year! The team has hit its stride and the riders are really committed to our process and each other. In both stage races and criteriums, the results have been exceptional. 2018 is the second year on the Continental level for Elevate-KHS Pro Cycling. What were a couple of key learnings from your first season? Team Chemistry: Finding a way to get all 12 riders, staff, and team partners all on the same page is probably the biggest challenge any growing organization faces. 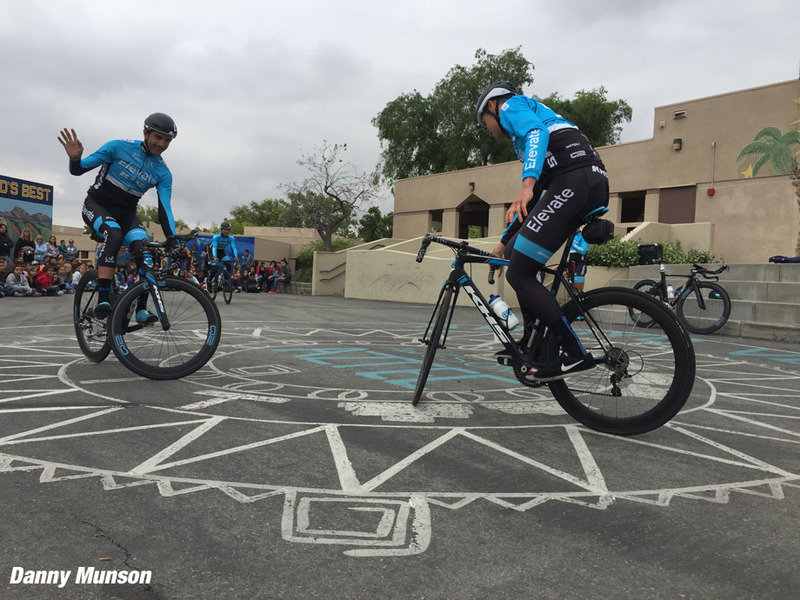 Every pro rider at the Continental level is strong enough to help the team win, but the real challenge is can you get them to embrace the culture and philosophy of the team. We really took our time recruiting guys like George Simpson and Jordan Cheyne, who are incredibly driven riders but also really want to play a role helping other guys on the team shine. Setting Goals: It is important to set the team’s goals higher than you think might be possible to attain. 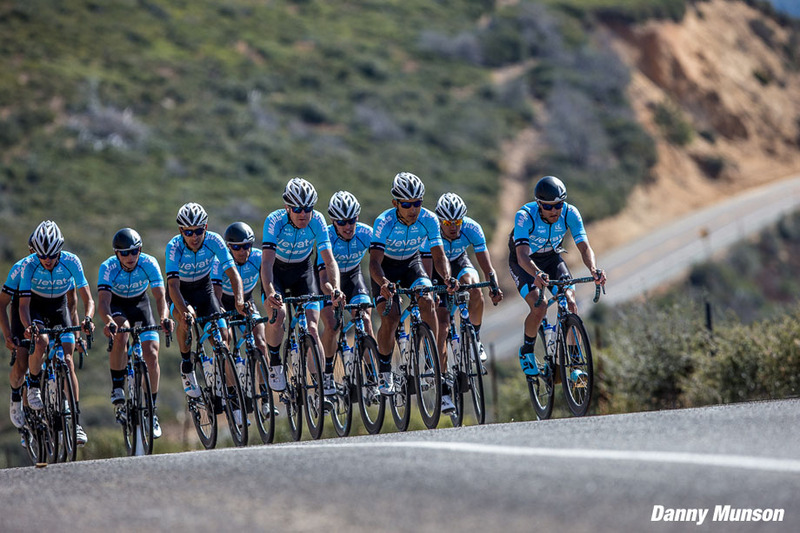 Last year, the team won 31 races and had multiple podium finishes at the Tour’s of Utah, Colorado, Gila, and Taiwan. We set the bar high, and the riders and staff all exceeded our expectations. This year, we have raised the bar higher, and the team has responded. After the weekend at Glencoe the team had won 33 races already and our first UCI race at Joe Martin. 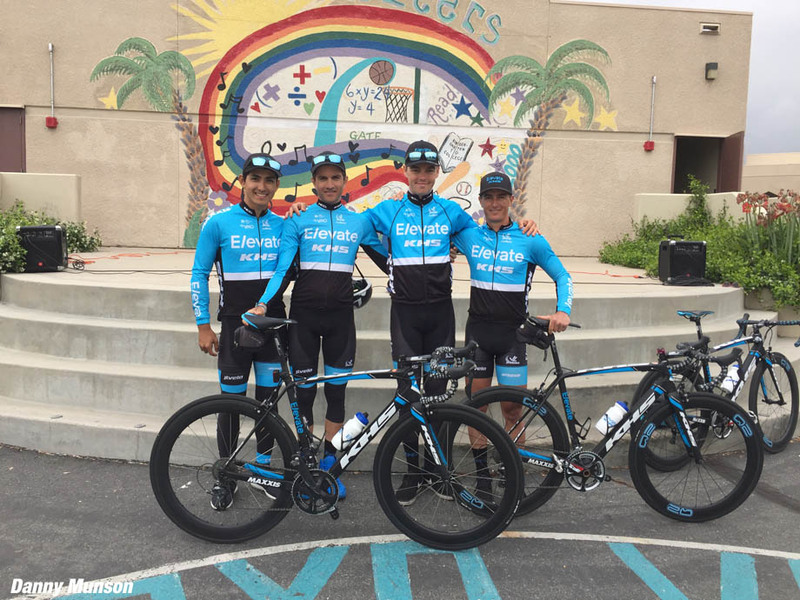 The current Continental team was formed by combining Elevate Pro Cycling from Texas with KHS-Maxxis-JLVelo in Calif. What is the team’s focus, on developing young talent, or just meshing as a big family and winning top races? The team’s focus is to help everyone, from riders to staff, do their very best everyday. We do our best to focus on today and being present. We have found that if we put together a solid plan, and the riders and staff execute on the plan, the results are usually great. Having the opportunity to work with John McAllister and everyone at Elevate has been a dream come true. From our first phone call, John and I have been on the same page with our philosophies and the trajectory of where we want to take the program together. We are both 100% committed to the riders on the team and are truly here to help them achieve their goals. 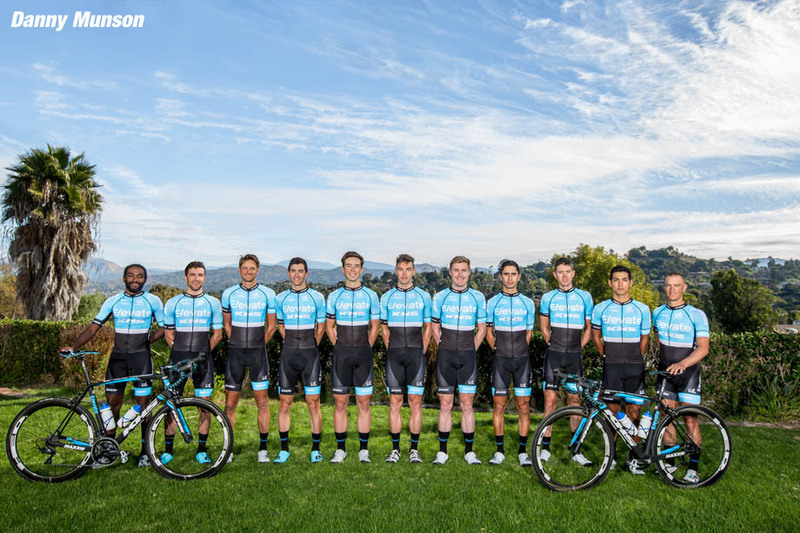 The team had its first UCI America Tour win at Joe Martin Stage Race this season, and at Redlands Bicycle Classic the team had one-two in criteriums with Sam Bassetti and Scott Law, plus third by James Piccoli and Bassetti on other stages. Tell us a little about the “team” and keys to success this year. We build our team like a house. The foundation of any really good team starts with a really strong core group of guys that can help the sprinters and the climbers. The sprinters and climbers might receive the glory, but without our core group of strong guys chasing, pulling, leading out, getting bottles, and putting them into position, nothing happens. Our foundation is built by Brian McCulloch, Nick Torraca, George Simpson, Kevin Girkins, and Gavin Hoover. These are truly the tough guys that do the dirty work which enables us to win races. With a strong foundation created, we bolt two pillars into it. The two pillars of our team are climber James Piccoli and sprinter Alfredo Rodriguez. We needed to reinforce both of them with riders who could help, inspire, and push them to be their best. At the same time recognizing that Alfredo and James would also bring the best out of the new guys. For our sprint train, we added Sam Bassetti and Scott Law, as well as Cory Williams. Jordan Cheyne and Eder Frayre are great assets in the mountains. The guys have really bonded together and the results speak to their commitment to each other. It is really exciting to watch them grow as a complete unit. Name two favorite PRT events and what makes them great, from race courses to food. My two favorite: The Redlands Classic in California and the North Star Grand Prix in Minnesota. I really enjoy going to all of the PRT events. So much work and time goes into creating all of the events. They are all unique and have their own flare and style. 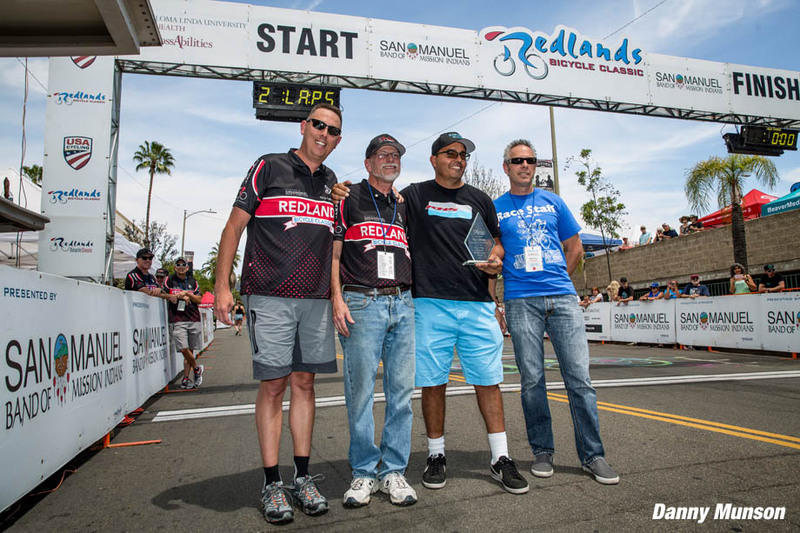 Redlands is special to me because of the people that run the event. It is operated from start to finish 100% by volunteers. The courses they put together are challenging, and the best rider usually wins. The North Star Grand Prix does an amazing job getting the community involved, and the crowd turn out is incredible. They do a great job of balancing tough road races with fan friendly downtown criteriums that make for exciting racing for teams and fans. We look forward to the return of North Star in 2019. 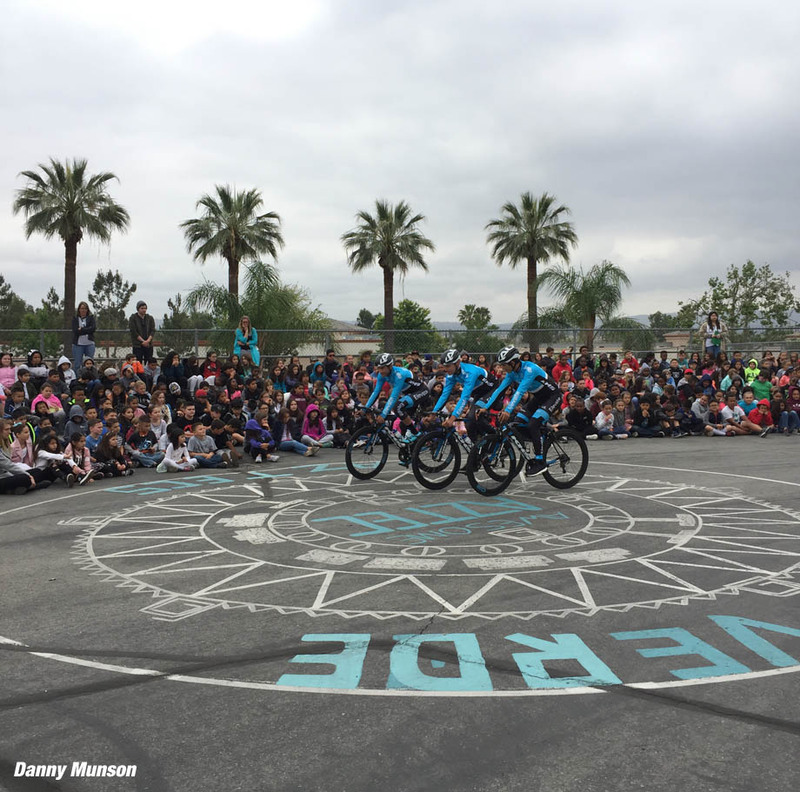 The race director at Redlands Bicycle Classic conducts 40 school visits with teams, which is great. What message does your team like to promote when you make a school visit with children? The No. 1 thing we tell the kids is that riding a bike is fun. If we can encourage one child to go home and take their bike for a ride, we have accomplished our goal. The number two thing we tell them is to always wear a helmet. We do our best to engage with the kids and invite them and their families down to the race to see the guys in action. KHS stands for Knowledge, Health and Strength, so having the opportunity to pass this message along to school children at the races is really important. The team will return to Tour of Utah. This is a notable invitation. How is this a key part of your season? Jen Andrs (executive director) and her team at the Tour of Utah gave us a big opportunity last year to step up and prove ourselves. In the 2017 addition, we had Alfredo finish second on a stage, James finished third on another, Top 10 overall, and he won the Fan Favorite climber award. To be invited back to Utah gives the riders and partners another big opportunity to shine. Our goal this year is to win a stage and finish top three overall. It is our biggest opportunity to test ourselves against the WorldTour teams with the world watching. We will come prepared and ready to go. Does the team have a chef or someone to plan meals? If so, what is a staple at stage races to keep the guys strong? We do not have a team chef, but we do have a chef on the team, rider James Piccoli. After finishing second in the time trial at Joe Martin this year, James made the whole team gnocchi from scratch for dinner. He makes the best omelettes and really enjoys cooking for the guys on the team. It is his way of saying thank you to the guys for all of their hard work on the road. You are now team owner and manager. Tell us about your start in cycling as a competitor. And did you ever imagine yourself managing arranging to get invites to UCI races/ looking for national TV opportunities for team sponsors/ managing young riders? I come from a cycling family. My grandfather was the match sprint champion of Panama in the early 1920’s. My father raced in the Pan Am Games for Panama and also owned the American Commerce Pro Cycling Team in 1989 and 1990. I was fortunate enough to be able to tag along as a junior with the likes of Pro riders Steve Hegg, Kenny Fuller, Kurt Stockton, Jamie Paolinetti, and Greg Oravetz. At 17 years old, I was invited to the Olympic Training Center in Colorado Springs where I lived for two years. I was able to become a four time US National Champion and really enjoyed my time racing. After my cycling career was over, I was incredibly lucky to work for two incredible companies, P.F. Chang’s Restaurant Group and Mercedes-Benz. Working with those two companies gave me the skill set and experience needed to run a professional cycling program at this level. We currently have 25 partners, and they are each entrusting our riders and staff to be great ambassadors for each one of them. Being able to help Elevate and KHS maximize their exposure and impact through races like the Tour of Utah is very rewarding. Back when you were riding, there were no concerns about social media. How has that changed the climate for athletes/teams, good and bad? Social media has changed the game for all teams and our partners. Most of the Pro Teams today have dedicated staff that control the content and flow of their media campaigns and messaging. We have been blessed to have Joy McCulloch running all of our media platforms for six years now. Joy also has the daunting task of monitoring all of our athletes media pages to make sure they are partner correct. The riders today have a huge opportunity to become invaluable to their teams and partners if they use their platforms properly. We offer this simple guideline to our riders when using their own social media platforms: Does your post benefit you, your family, your team, your partners, and the future you, after your cycling career is over? If their answer is yes to all of those questions, post it. If the answer is no or maybe not...sleep on it. Pro cycling is a physical job with relentless travel. What is a way you keep your riders loose and relaxed during the long season? The guys on the team have a fantastic opportunity to meet new people and see the world. We really encourage them to get out of the hotel and explore the new surroundings and cultures. Life is not only bike racing. • Read the PEZ Xpedo Thrust 8 Pedals review here.